The well lies about 0.25 mile into the boggy area (Note – the area below the Cloutie Tree is not the well, though many believe it to be so), and is identifiable by a stone enclosure of granite slabs, which could be submerged below the water in particularly wet conditions. This stone surround was rebuilt in the early 1980s from stones found in the area, so it may not be exactly how the well originally looked, though it probably is quite close. The well probably originally dates from pre-Christian times, and was here long before the Baptistry (Well-Chapel) was built. Madron Holy Well and Baptistry lie to the north of the village of Madron, which is about a mile from Penzance on the Penzance-Madron-Morvah road. parking area to the ‘Cloutie Trees’ (trees festooned with coloured rags and pieces of cloth). Here there is a small stone marker sign set into the ground, pointing right to the Baptistry and left to the Well. There is no proper path to the Well, so if you wish to visit it, it will be a case of stanking (wading) through a very wet and boggy area. In particularly wet conditions the access to the Well is really impass- able, and generally should only be attempted with suitable wellington boot or wader gear. The clouties (pieces of rag) tied to the tree was a traditional custom at healing wells, particularly this one. The rags were torn from a part of the body where there was an injury or hurt and tied on a tree close to the well. As the material disintegrated (most materials were biodegradable) so the hurt was supposed to go. The Well was also much visited for healing and divination. Robert Hunt in 1871 recorded that maidens went there in May (the first three Thursdays being the most propitious time) and made a cross to float on the water, the number of bubbles indicating the years before matrimony. This custom continued right up un- til the 1st World War in the early 20th Century. 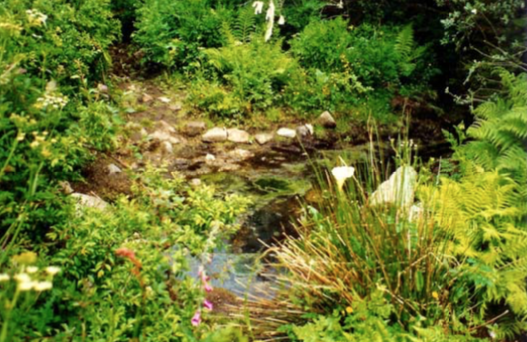 Holy Wells like Madron would originally have been a source of fresh water for people, and came to be venerated for the ‘genus loci’ or spirit of the place who was thought to dwell there. Later, under Christianity, they often became dedicated to saints.